Spring is around the corner, and so too is the Halifax Crafters Spring market! I have been spinning beautiful yarns for the past few months, and this weekend the dye pots will be steaming as I dye up some squishy Merino top, some new Blue Faced Leceister/Tussah Silk top, Masham sliver, and some yarns. 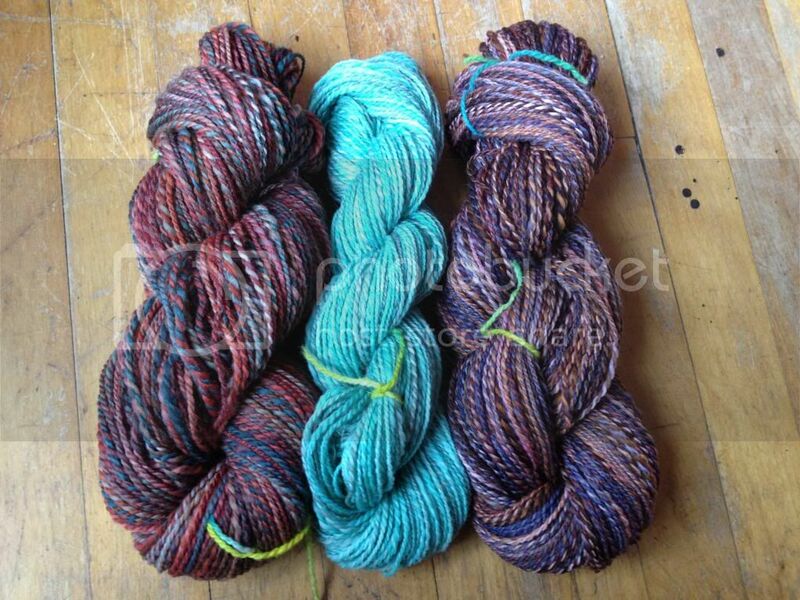 I've got some really nice sock yarn to do up, and I'm going to pick up some worsted this weekend to round out my offerings. I'm hoping a last-minute batch of sparkly sock-yarn will make it in in time for me to dye it from the show--my supplier was out of it last month when I was placing my base orders. 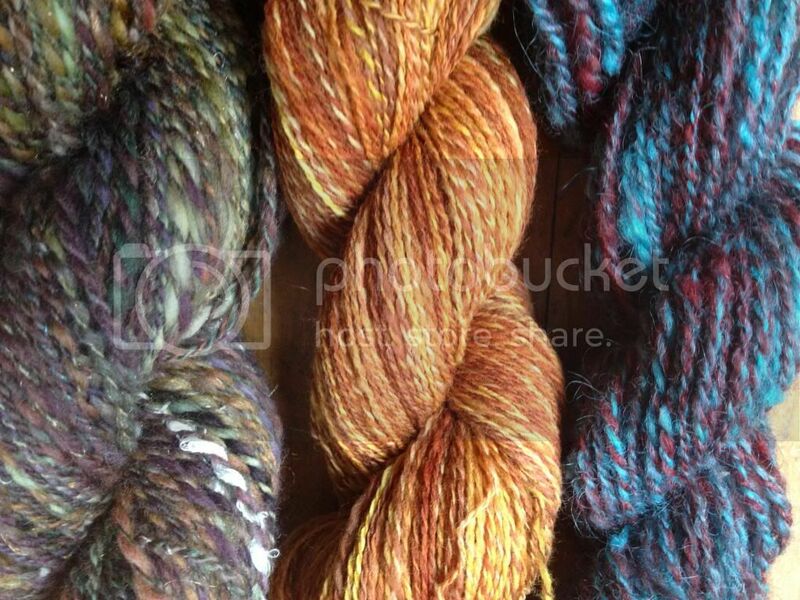 In the meantime, I will leave you with some tantalizing pictures of recent handspun yarns!